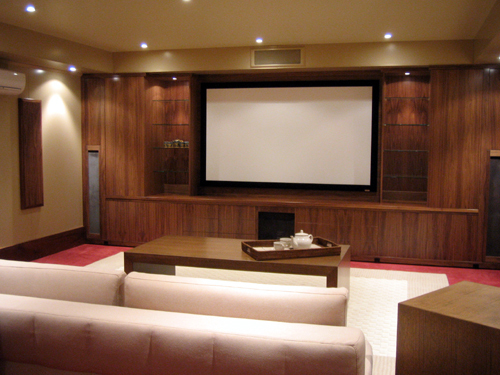 This home cinema was converted from a basement. With its well insulated properties, the basement was ideal. 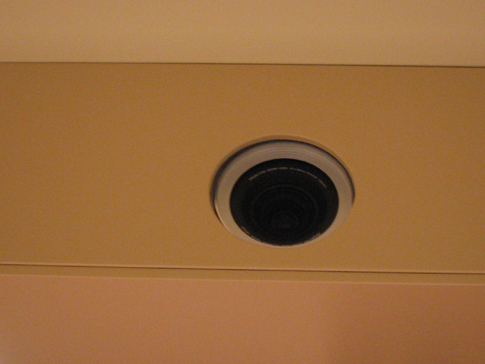 The projector is mounted in an overhead bulkhead and the lighting is all C-Bus controlled. 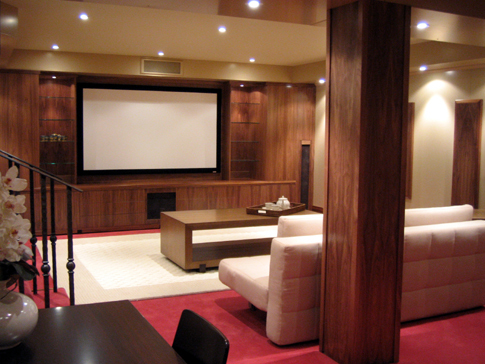 The speakers have been built into the American Walnut entertainment centre, as well as having component cupboards and media drawers. 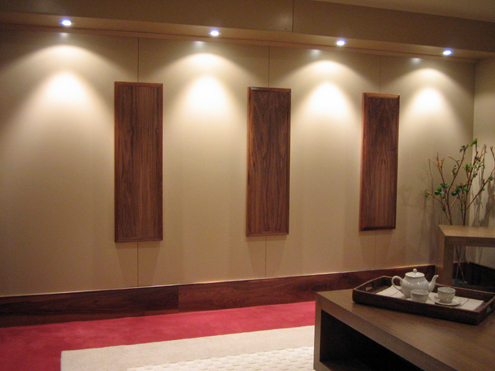 The walls and bulkheads are all 2 pack painted panels, with timber panel features. American Walnut is finished in 2 pack satin lacquer.